1. In a bowl wash the sago seeds and soak in water until well immersed for 1-2 hours. Once the seeds swell up discard the water by straining them. Set aside in a bowl. 2. In a pressure cooker add the potatoes and enough water to immerse them, pressure cook for 3 whistles or for 10 minutes. Once the pressure settles open the lid and remove the potatoes when its easy to handle remove the skin and mash them. 3. In a kadai toast the skinless groundnuts evenly and let them cool down. Powder them coarsely for few seconds in the mixer. Set aside. 4. 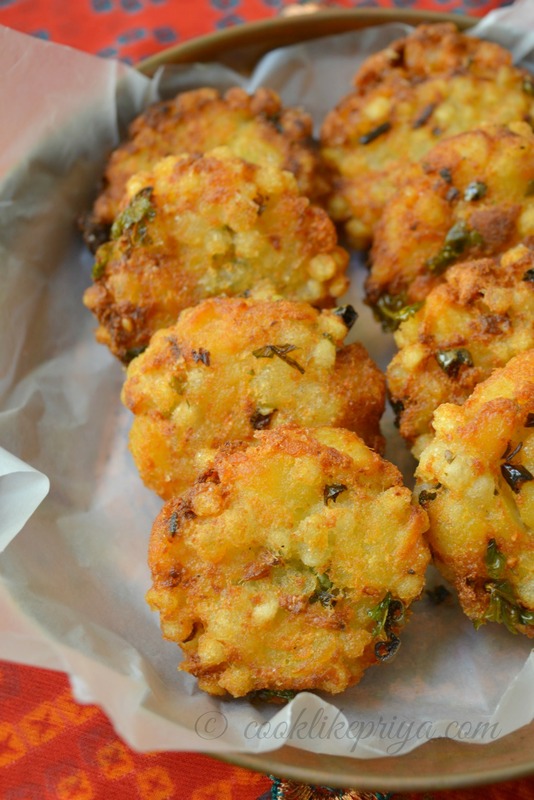 Add the potatoes, ginger, green chilli, corriander, groundnut powder, salt and lime juice and mix well check for salt and divide them into 16 portions. 5. Using your palms shape them into balls and flatten them slightly. 6. 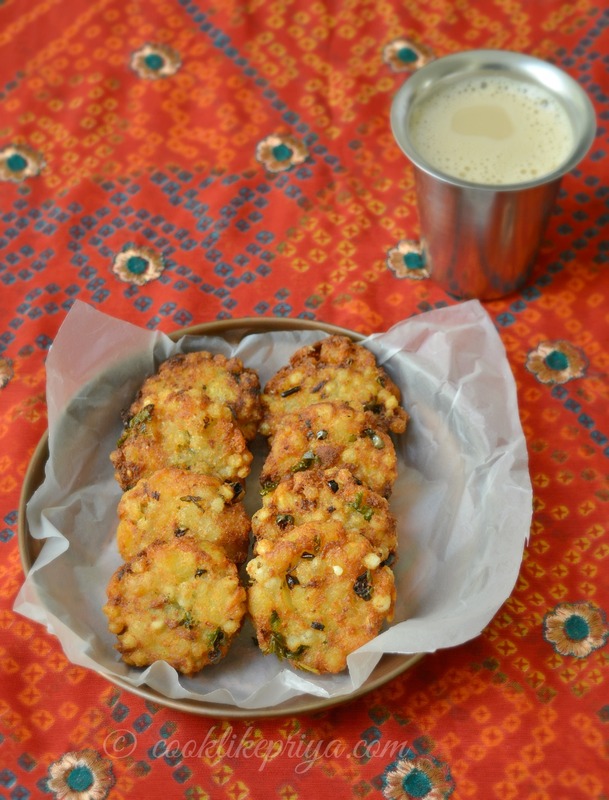 In a wide kadai/ pan heat oil once it is hot add 2-3 vadas at a time and fry them by lowering the heat to medium - low flame and flip sides after 2 minutes. 7. Using a slotted spoon drain the oil and place on a kitchen towel. 8. 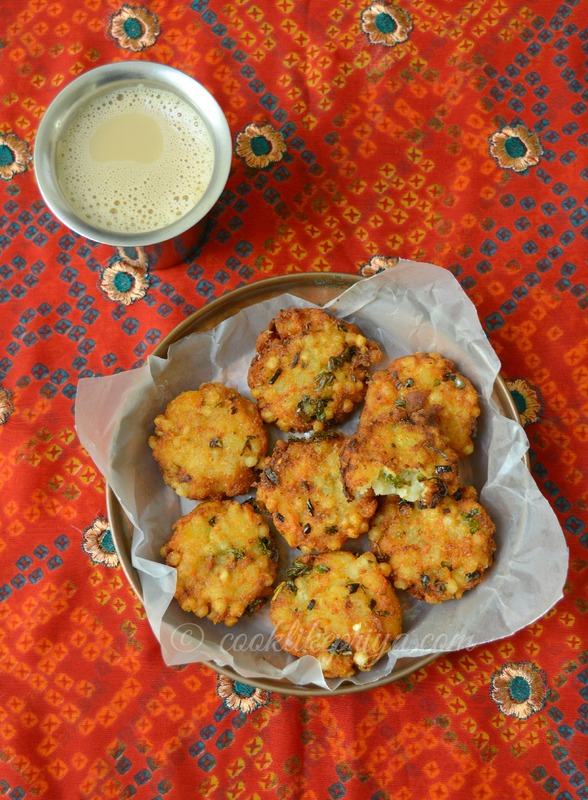 Once the entire batch of vadas are fried serve hot and enjoy with your evening cuppa. 1. 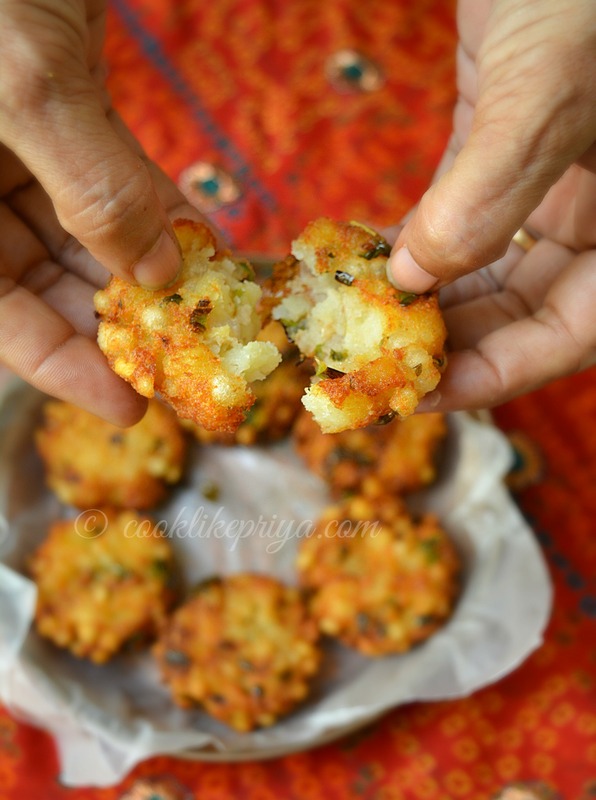 Add very little lemon juice else the lemon juice will to overpowering the vadas. 2. Make sure that the potatoes and the sago are completely drained of water. 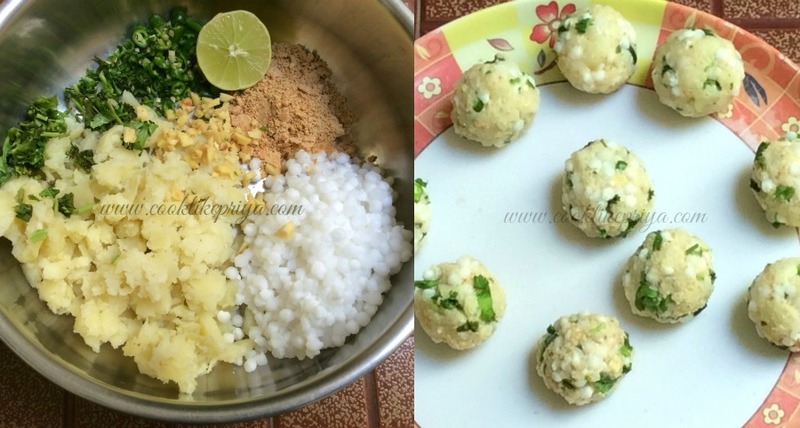 In case the mixture in too wet add rice flour/ more groundnut powder. 3. 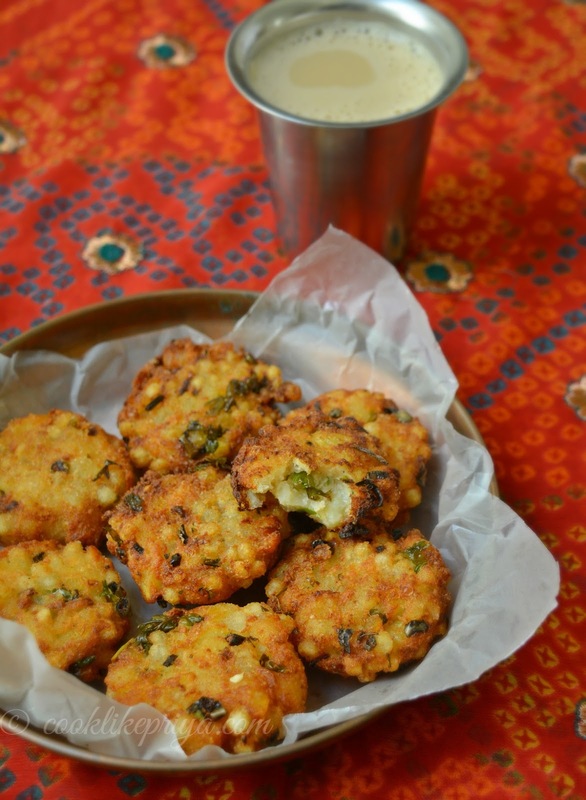 The vadas are best when served hot, once they cool down they lose their crispyness. 4. If you soak the sago seeds for too long they tend to break while shaping the vadas.